C & B Operations, L.L.C. dba Fred Haar Company, Inc.
From Best Western/Minervas travel East on Hwy. 50 1/2 mile turn North 300 feet on Bill Baggs Road, right side of road. 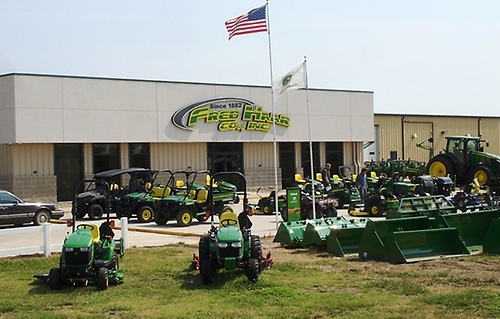 C & B Operations, LLC owns and operates twenty-four John Deere farm equipment dealerships in five states along with a diesel engine pump repair business. Each location provides quality sales, parts and service to meet all our customer?s needs. C & B Operations is a privately held business with corporate headquarters in Gettysburg, South Dakota.